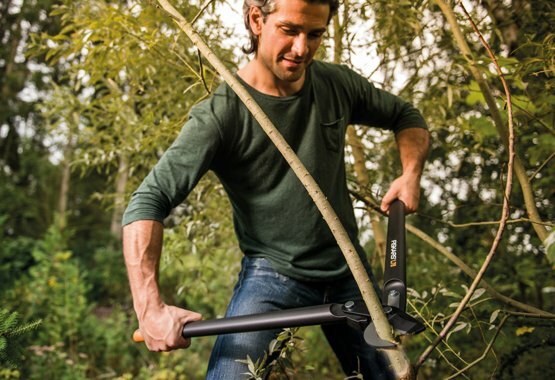 Fiskars PowerGear™ is a versatile family of tools that include pruners, loppers and hedge shears to cover most of the cutting needs in the garden. The ingenious gear mechanism which boosts the power of the cut is complemented by sharp, quality steel blades and lightweight, durable FiberComp™ handles. Patented PowerGear™ mechanism makes cutting 3,5 times easier compared to standard mechanisms. Blades are made from extra hard, corrosion resistant steel that ensures sharpness longer.